On the 14th of May 2015 Slovenské elektrárne invited the leading suppliers to the formal meeting in order to introduce the needs, goals and vision of the company. 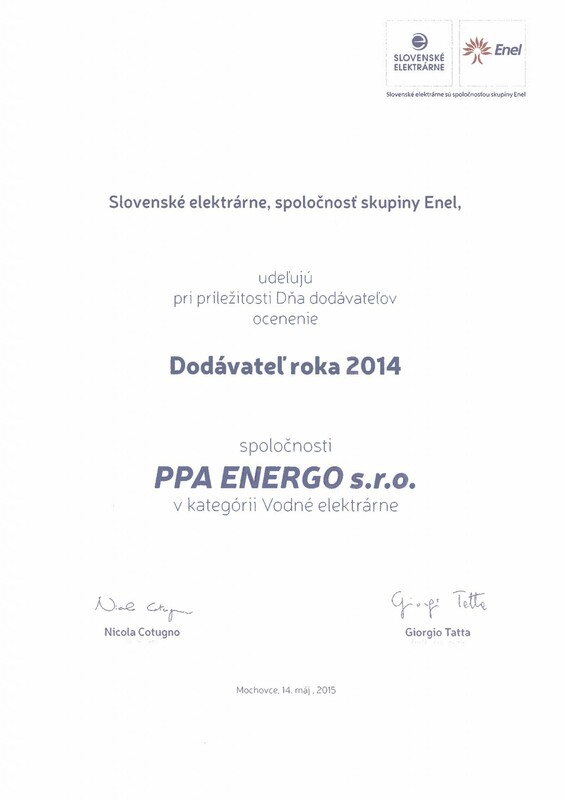 It included the statement and the best suppliers to Slovenské elektrárne in 2014. PPA ENERGO s.r.o. 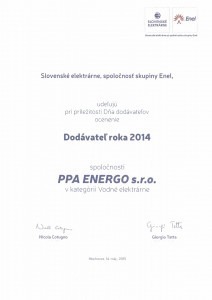 – a member of PPA CONTROL – was awarded Supplier of the Year 2014 in the category of Hydroelectric power plants.